These are some of Tom's most popular books. More can be found at various retailers online. But these will get you started with ideas you can use! For purchase, click on the cover photo, or choose your favorite national retailer below! Tom's newest book on Steve Jobs is now available in Hardcover, Paperback and Ebook formats. The cover is a pure white, surrounding this large phone surface, bringing together the world Steve created and the ancient Athens of his intellectual predecessor, the also famous Socrates. Steve Jobs was perhaps the most innovative business creator of the recent past, whose ideas and objects have changed our world. He was a troubled and flawed man and yet, beyond all the craziness, there was a deep philosophical operating system that we can all use to bring our own talents and ideas to the world in new ways. This is the first book to dig down to the bedrock of practices and principles that allowed Steve Jobs to change the world. And they're all ideas we can borrow. Your book, in my opinion, is truly a magnificent ode to Steve's brilliance, though you addressed his weaknesses. You were able to explain and expand upon his giftedness in astounding detail and I think do justice to his incredible mind and how he was able to learn from his mistakes. Would that he had a friend such as you who understood him so well and easily—all along the way! He always sought that, I think, just as he perhaps sought the love and approval of a real-life father, but refused to admit it (my sense). In all, I would imagine that he would have loved your book! I read it in one sitting! Just devoured it! Tom Morris, I bought the book via Amazon, the Kindle version on my iPad, and read the entire book in one sitting. First, thanks for the kind treatment to me in the book, from what you parsed from our conversations about Steve, as well as in your gracious shout outs to the people, like me, who played roles in helping you move your project to the finish line! It's a great, informative read, and delivers new insights to the collected literature on one of America's most compelling characters. I strongly recommend it as a must read to anyone interested in the mind and soul of the guy who is most responsible for what is today the most valuable American company in history. Not to mention the billions in market cap created by his side project, Pixar, which made Steve (and now his wife) the largest stockholder in Disney! A new book on Steve Jobs by the author Tom Morris. A totally unique perspective about Steve is presented, and I'm proud to have been interviewed by Tom, and a source of original content for the book, a couple of years back. Now I don't have to write a book about the years I worked with Steve Jobs...it's done! Mehar Chand Kalsi: It is a beautiful Presentation. For more, see the website TheOasisWithin.com! Click the cover photos to purchase at Amazon.com. What wisdom can equip us best for the journey of life? A young boy and his uncle are traveling with some friends across the desert in Egypt in 1934, on their way to Cairo. During a rest at a beautiful oasis, the older man decides that the time is right to begin preparing his nephew for the future. So, as the days pass, they talk about such things as inner peace, the challenge of change, the dynamic nature of balance, how things can help or harm us, the true power of the mind, the hidden structures of our world, the importance of wisdom, the elements of human nature, the necessity of love, the requirements of success, and the world’s strangest gift of all - uncertainty. The boy keeps a diary. And what he learns on this journey may be as life changing for readers as it is for him. Philosopher Tom Morris has produced a gem of a book that’s packed with wisdom for life and work today. You’ll find in this short tale a profusion of vivid images, profound reminders, and new perspectives that can help greatly as you grapple at the interface of desire and difficulty throughout your life. There is profound and simple wisdom to be gained about how to deal with the opportunities and obstacles that are everywhere in this world. You’ll find much of it here, in this brief but rich account of one remarkable trip. We can all cultivate the oasis within, of which this book speaks, and it will provide a source of peace and power that can lead to remarkable outer results. This first edition can now be purchased at Amazon. Click here! The Paperback, Hardcover and Ebook editions are all now available through most bookstores and online. Now, Volume One of the series, Walid and the Mysteries of Phi is finally available! It's the beginning of what may be the greatest philosophical adventure of our day. In the context of a great story, we get to explore ideas about the power of truth, the value of wisdom, the nature of courage, the reach of the mind, the vital importance of time, uncertainty and preparation, the essence of partnership, the mysteries of life, and the range of the human spirit. Now, Volume Two of the series, Walid and the Mysteries of Phi is finally available! It's the next stage of what may be the greatest philosophical adventure of our day. In it, we can explore insights about paradox and success, friendship and its power, fairness and injustice, envy and ambition, imagination and trouble, secrets and private thoughts, the dangers of greed, intuition and truth, and the incredible power of emptiness. In this third volume of the philosophical adventure series Walid and the Mysteries of Phi, a wise character speaks to every one of us when he says to his friends, “We’re all participants in a great drama that encompasses us in space and time. We’re chosen to help move it forward, but we never have to depend on just our own abilities to do so. We’re free, but we’re also deeply supported and guided. Let that build your confidence, your faith, and your hope in the future. Great things are afoot. And we’re among the foot soldiers of destiny.” That deep perspective plays out in this story through many surprises encountered by the two boys known as The Golden Viper and Windstorm. This is book four in the series, Walid and the Mysteries of Phi. 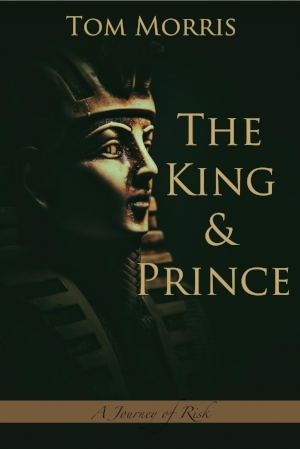 The kingdom of Egypt is threatened from two different directions. 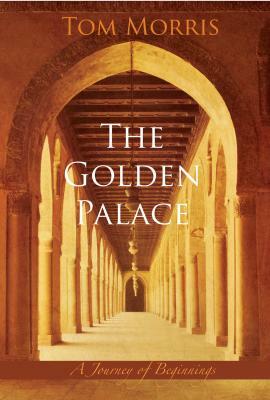 And the discovery of an ancient book in Alexandria may help Ali, Walid, Mafulla, and their friends face the greatest challenge of their lives. The action is unexpected, and the philosophical ideas are deep. A vicious attack, a dubious new ambassador, shocking murders, and several assassins on the loose, a boat trip down the Nile, a terrible accident, a strange little book with secrets, and a major battle take their places in this new part of the story. 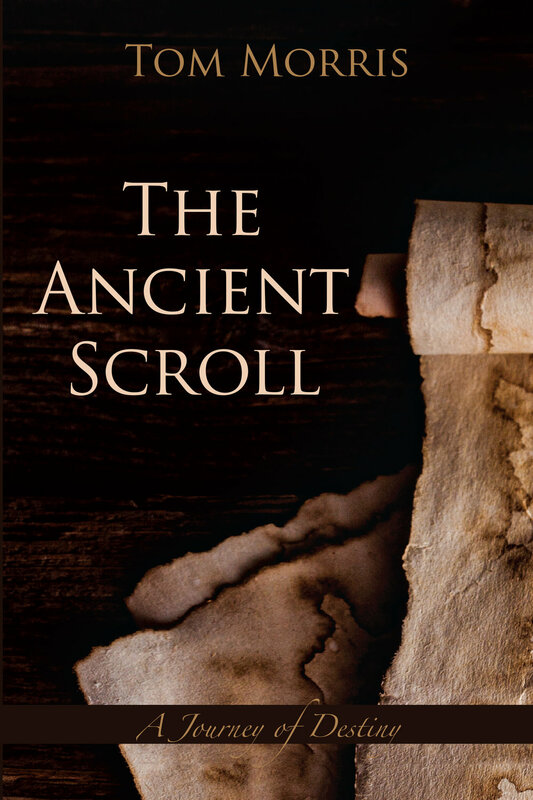 The realities behind appearances, synchronicity, intuition, happiness, power and meaning, life and death, evil and redemption, and the ghostly souls of books are just a few of the philosophical ideas that arise in new ways in this book. The center of government in the kingdom of Egypt is a target for violent revolutionaries. And you could never imagine what results. Mystery and intrigue abound in this fifth volume of the philosophical adventure series, Walid and the Mysteries of Phi. It’s soon going to be Prince Walid Shabeezar’s fourteenth birthday. And his creative best friend Mafulla Adi gives him an early birthday present that unknowingly anticipates the most unusual and dangerous adventure they will ever have experienced together. Strange things are happening in various parts of Egypt and across North Africa. A new threat is on the horizon. It seems that an utterly amoral and unprincipled individual is seeking power beyond anything ever witnessed, or even imagined. And his quest is about to endanger the boys and all their friends in the most harrowing way ever. The previous books in this series have brought us mystery, humor, profound ideas, and a touch of true romance as the real action kicked into high gear. In The Mysterious Village, the ongoing story will take us to even deeper and more unexpected places. The philosophical ideas will be deep and surprising. Tom's nonfiction books also continue to guide individuals and companies to greater levels of success! First among them is True Success, published in 1994 and still one of Tom's most popular books! It's the perfect follow up for anyone who has heard him speak on The 7 Cs of Success! True Success: A New Philosophy of Excellence. This is the book where Tom first introduced The 7 Cs of Success, a universal framework of ideas derived from a close reading of all the great wisdom traditions, and profound practical philosophers, east and west. It instantly became a modern classic in the literature on success and excellence. In publishing this book, Tom became the first modern philosopher to grapple with the issues of success in business and life, viewed through the lens of ideas that have stood the test of time. Many readers report that they've repeatedly gone through this book for reminders and new motivation to face new challenges. To purchase it, click below. I just recently read your book True Success. Took me only about 3 days, I believe. Just wanted to let you know that I was extremely impressed. I've read many other books discussing the same topics before, but to me yours really stands out. I believe in incorporates several different factors of success in harmony, when sometimes other material only deals with one or two and leaves out others. Basically, it was a masterpiece to me. As far as myself, I'm an artist, and I will strive towards making art as masterful as this book. It was truly an amazing read and I'm about to go recommend it to anyone and everyone I know who is interested in improving their lives. And I feel compelled to read some of your other books now as well. The Art of Achievement: Mastering The 7 Cs of Success in Business and Life. This is the second book on Tom's highly regarded framework of The 7 Cs. From nearly a decade of working with organizations and individuals on their implementation of this important set of ideas, Tom came to realize that, in connection with each of the seven conditions for success, there is an art, or skilled behavior that can be mastered. This book shows how. This is also the first place where Tom discussed the philosophical view of life as a series of adventures, and how we need to go from Hill A to Hill B throughout life. If reading and studying True Success is like getting a bachelor's degree in The 7 Cs, this is the master's degree. To purchase it, click below. 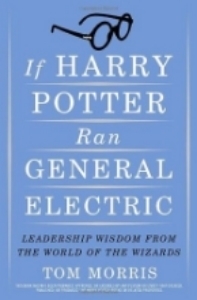 If Harry Potter Ran General Electric: Leadership Wisdom From the World of the Wizards. The mega bestselling author, JK Rowling, majored in Classics when she was in college and, as a result of her training, wove great leadership wisdom all through her famous Harry Potter stories. 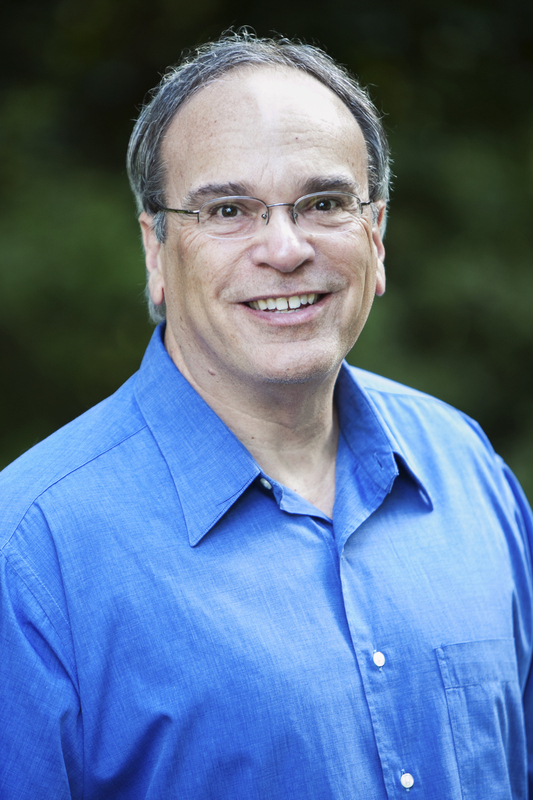 Tom was the first to discover and describe all the amazing life and leadership insights hidden within the stories. People who have never read Harry Potter have nonetheless loved this book of philosophy. Tom gives just enough about the stories and characters that you're never lost. But if you've read each Potter book fifteen times through, you'll still be amazed at all the new insights to be had. The wave of people now moving into the workforce grew up with Harry, and his exploits formed their thought world for many years. Executives who want to understand and motivate younger workers will want to read and use the insights of this book for that purpose, as well as for their own stimulation on issues of ethics, courage, change, and the character of the leader. To purchase this book, click below. 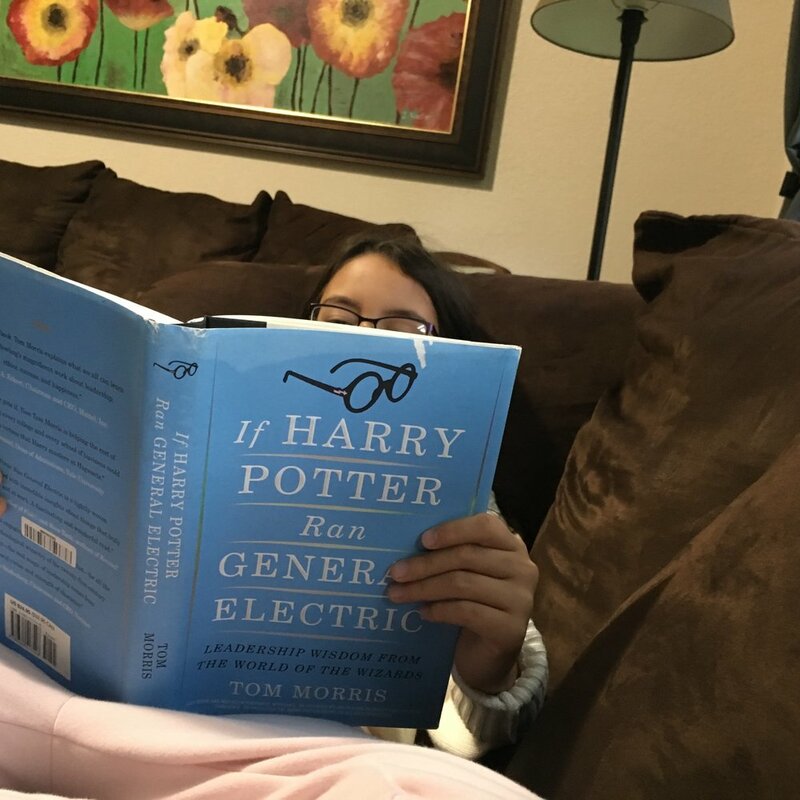 My Favorite Photo of the Month: A young lady named Jubilee gets off to a head start in life by diving into some philosophy! I do appreciate reader photos like this! And I like that white mark at the top showing wear and use! Thanks! A book group at the immensely popular company Popsockets (PopSockets.com), reading If Aristotle Ran General Motors! "Tom, I just finished If Aristotle Ran GM and thought it was incredible. Looking at life and work through the lenses of truth, beauty, goodness and unity is incredibly powerful and something I'll keep in mind moving forward!" Blas Moros, Office of Investments, University of Notre Dame." If Aristotle Ran General Motors: The New Soul of Business. In 1997, when this book was first published in hardcover, everyone in the world of business was talking about product quality and process efficiency, but no one was talking about the people who do the work. Tom decided to investigate what the great philosophers have had to say about the foundations for great work, and the result is this book, built around Truth, Beauty, Goodness, and Unity - the intellectual, aesthetic, moral, and spiritual dimensions of our work, and of our lives. It ends up being a look at happiness and human flourishing in any relationship, whether professional or personal. When we honor the greatest ideals, we can participate in greatness. This book is a practical look at what creates the strongest teams, corporate cultures, client relationships, and families. More CEOs have told Tom that they keep this book in their offices than any other book he's written. Many have told him that it was years ahead of its time, despite its grounding in ancient wisdom. To purchase it, click below. Epictetus was a slave. Seneca was a prominent lawyer. And Marcus Aurelius was the Emperor of Rome. From three very different social strata, these three ancient Roman philosophers speak with one voice about the art of living. This book will help you to cultivate the inner resilience necessary for outer results in anything you do. What's most amazing about these three people from long ago is how current and relevant their thought is today. They write as if they understood everything you're going through. And they bring wisdom that can make a difference. In deep ways, this book continues to display the 7 Cs of Success and their relevance to life in the Twenty-First Century. "Everyone in financial services should read this book!" - David McWilliams, Head of Wealth Management Transformation, UBS Financial Services. To purchase it, click below. 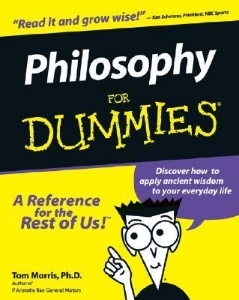 Philosophy for Dummies. Don't worry. Socrates believed that when it comes to the ultimate issues, we all start out as dummies, and the sooner we admit that, the quicker we'll make real progress! 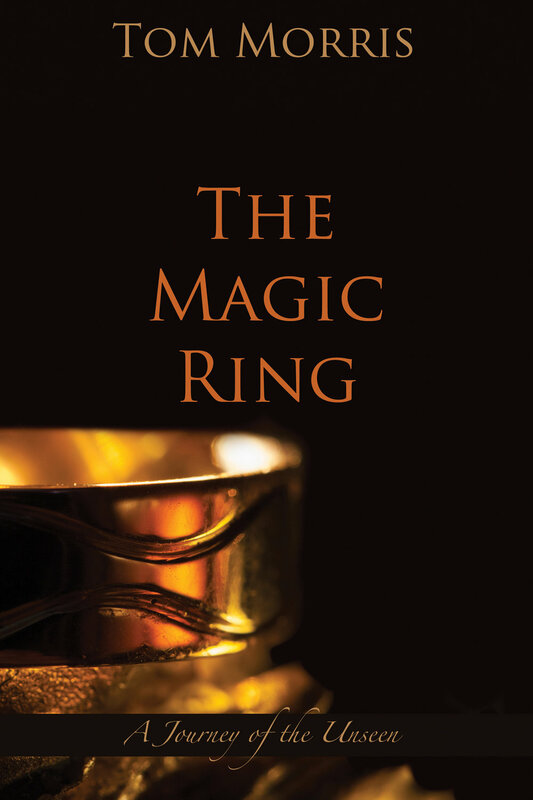 This bestselling book is based on Tom's famous Introduction to Philosophy course at The University of Notre Dame, a course he taught for many years that became a source of campus mythology. This book is used around the world by philosophy students the night before final exams. Tom covers in it a wide selection of the Big Issues in philosophy. A can't miss introduction to the subject! To purchase it, click below. Making Sense of It All: Pascal and the Meaning of Life. Blaise Pascal, who lived from the years 1623-1662, was one of the most brilliant early modern scientists and mathematicians. Born into a traditional Catholic family, he had very little personal interest in matters of theology or philosophy until one night when he unexpectedly had a powerful mystical experience that changed everything for him. He spent the rest of his short life making notes for a book that he wanted to write to convey to his cultured and educated friends what he now felt to be the most important truths about life. But he died before he could get beyond the notes and start the actual the book. His fascinating notes, though, have been published as The Pensees (Thoughts), and have for centuries now given us a bestselling book in its own right. 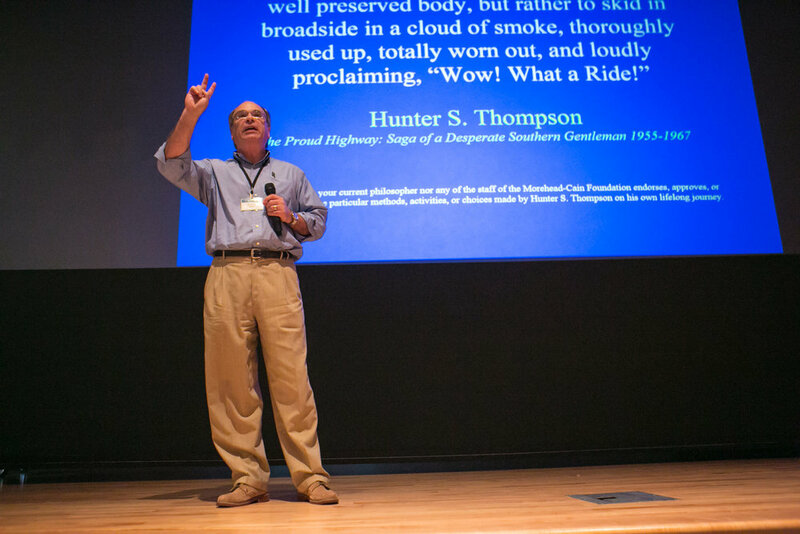 For eight summers, Tom lead a seminar for the National Endowment for the Humanities helping some of the best teachers in the country to read those notes together, and puzzle out their meaning. The result is this book on faith, reason, mystery, and meaning. It will take you to new depths and show you Pascal's new perspective on things in this world. To purchase it, click below. Superheroes and Philosophy: Truth, Justice, and the Socratic Way. Most of us read comic books when we were kids, but at some point we gave them up and moved on to books without pictures. But the comics of old have morphed into the graphic novels of the present with great sophistication and incredible art work. A rediscovery of superhero comic books will bring with it a realization that these classic American stories capture lots of fascinating philosophical questions, issues, and problems. Tom and his son commissioned new essays from a group of great philosophers, along with some of the top writers of superhero comics, television shows, and movies, and the result is this book. If Plato and Aristotle met Superman and Batman, and could hold off the bad guys long enough for a conversation, something like this might result. To purchase it, click below. Tom did a year long experiment on Twitter and this is the unexpected result. He would start his day by pondering something of importance, and producing tweets to capture what he was thinking. Then people would ask him questions and he would formulate answers. "Tweet something about courage!" Or "Tweet something on dealing with difficulty." Or, one challenging Sunday morning, a prominent novelist tweeted, "Tom: Summarize each of the great philosophers in 6 words each." This book combines morning motivational encouragement with deep reflection on some of our most meaningful life issues. 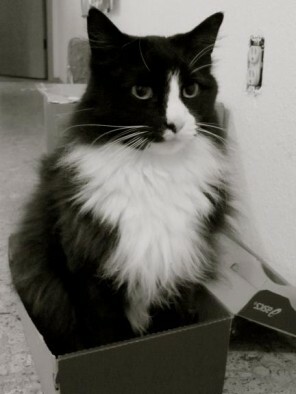 "Morris packs more wisdom into 140 characters than anyone since Pascal. Concise, cogent, clear gems about life from America's premier public philosopher." "What have you got when Twitter, at the cutting edge of the internet, is joined in 140 characters or less with the wisdom of the ages and sages? You have Twisdom, proof positive that Tom Morris knows a brilliant idea when he sees one!" - Norman Lear, Creator and producer of All In The Family, Sanford and Sons, Maude, The Jeffersons, and One Day at a Time, as well as the producer of such Morris favorite films as This is Spinal Tap, Stand By Me, The Princess Bride, and Fried Green Tomatoes. "On any given day, many millions of characters utilize Twitter as their social network, and do so with 140 characters at a time. 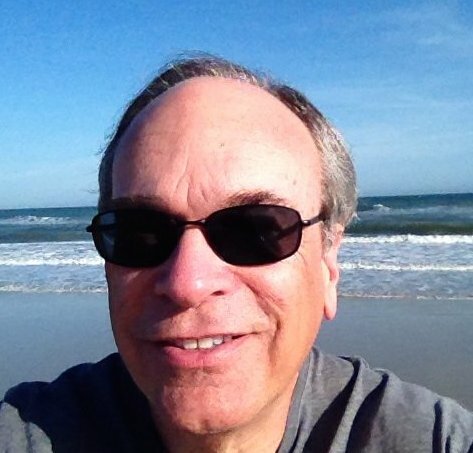 In that Twitjungle sits one amazing philosopher, TomVMorris. Tom has managed to absorb the best of every great thinker and create a unique brand of wisdom, so well crafted, useful, and precise that I can only say it’s “beyond brilliant.” He’s transforming practical philosophy in our time. Plus he really cares, and is still surprised that so many think of him as a living legend." Amid the rumors Twitter is only being used for lunch updates and inside jokes, people are engaging and building relationships, learning from one another, and finding a simple style of communication whereby getting to the point matters. I've followed Tom as both as philosopher and writer, and now a tweeter, as he exemplifies why I appreciate social mediums. In each venue he enlarges my thinking, sets me off in new directions, and helps me reflect on little things I may have missed in my busy day. 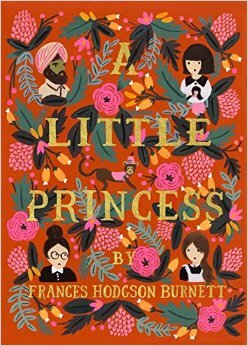 This clever book is well written, thoughtfully presented, and has the lightheartedness appropriate for its topic. If you're just starting out or ready for some further perspective, take a look. There are more than a few characters to enjoy. I've read most of Tom's other books and, while this one shares the depth of thought and insight of his other works, it is completely new in format and style. One of the problems with Twitter is that the insights you develop or discover are lost so quickly in the stream of new Tweets. This book does a great job of capturing the truly valuable bits and restructuring them in a way that makes them even more meaningful. My only problem with this book is that I didn't think of it first! 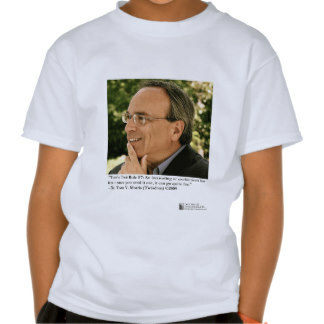 To purchase Twisdom, click below.